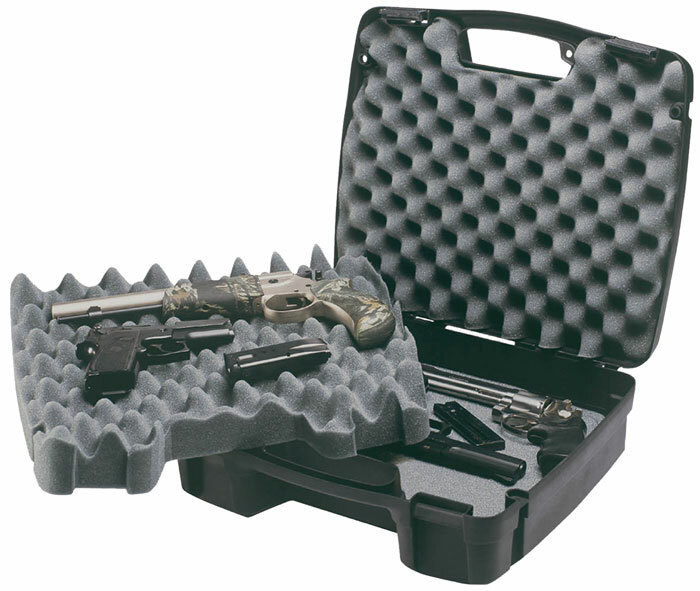 This four pistol case has a rugged look and solid protection for the beginning sportsman. SE Series cases feature contoured recessed latches padlock tabs for added security steel hinge pins for extra durability and strong rigid ribbed construction. It holds up to four fullsize handguns. It is 17.1 x 14.86" x 5.75"."